Pierre Lenordez created portraits of many of the famous Thoroughbred race horses of the mid 19th century and was well know for these works. He also sculpted other equine subjects, including work horses and brood mares. 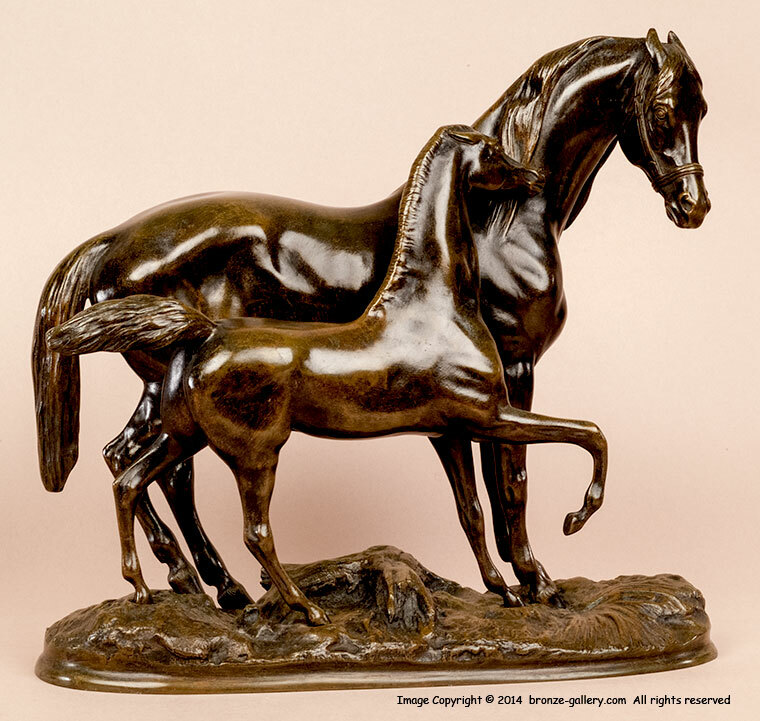 This bronze is a large well modeled group of a Mare with her Foal. The Mare stands quietly while the young horse nuzzles her neck. 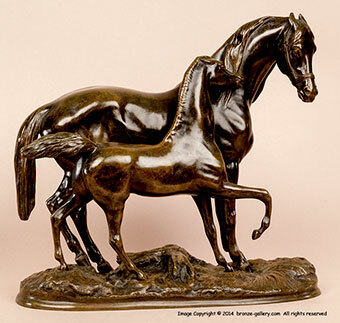 The subject of a Mare with her Foal has been done by other artists but few rival Lenordez's talent at capturing horses. 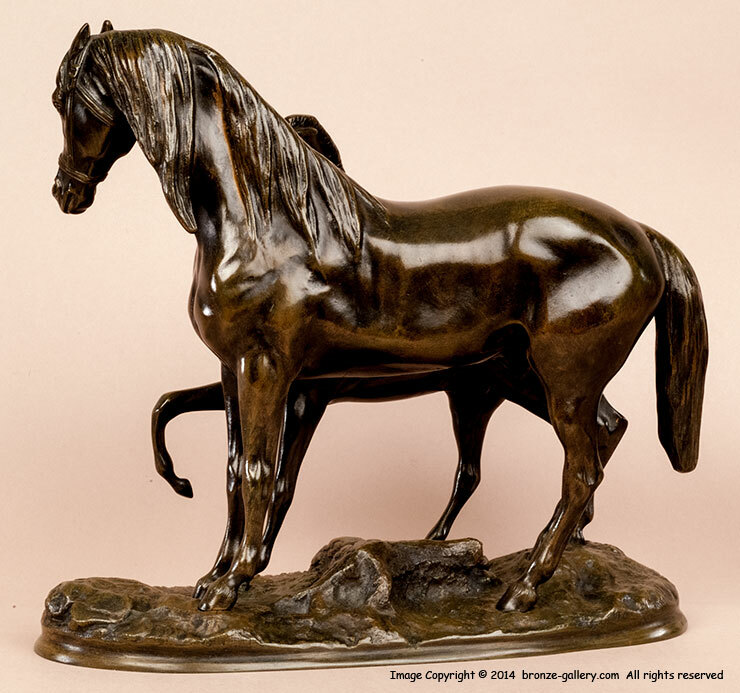 A fine original 19th century bronze with a warm brown patina, this piece would be enjoyed by any horse lover.